So how does OsteoStrong work? Before we begin anything, we’ll take you through a wellness assessment, bone density screening and balance test. This will provide you with important benchmarks so you can monitor your progress at each weekly session. Osteogenic loading can increase bone density by 14% in just six months! With our special equipment, you’ll put a precise level of force on your musculoskeletal frame to trigger bone growth. This force or loading on the bone can stimulate the bone's natural function of increasing in density. Really! The session will last about ten minutes, and you’ll be able to do it in your street clothes without breaking a sweat. If you’ve got more time, you can stay a bit longer and get a relaxing hydro massage - while still in your street clothes. If you’re living a life that’s limited by osteoporosis, weak bones and muscles, loss of balance or pain, you’ll be amazed by what our approach can do. Enhance circulation, relax your muscles and relieve stress – it’s the ultimate massage. 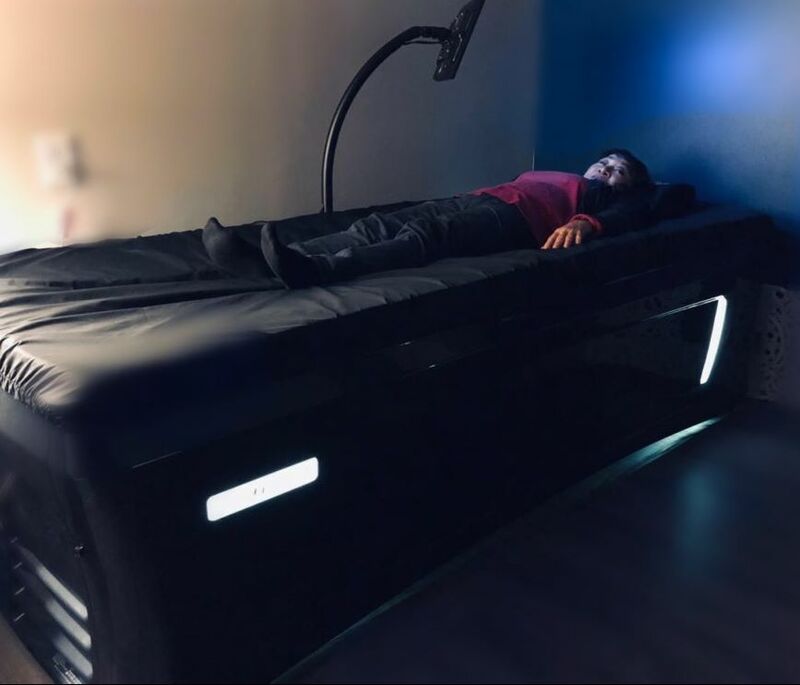 No one walks out of the hydromassage room, they float out on Cloud 9. Once you experience controlling the water jets, you’ll understand. It’s like having the power of the Bellagio Fountain at your fingertips – life will never be the same! Free session includes bone density screening, balance test, osteogenic loading session, hydromassage & more! FREE! If you’ve tried other approaches that didn’t work, you’ve got nothing to lose…and everything to gain. ONLY ten minutes a week. Great for anyone looking to strengthen bones with no weight lifting and no drugs! Visit our corporate website below! We can help increase bone density, muscular strength, and balance as well as reduce A1C levels in Type II and pre-type II diabetics. All in less than 10 MINUTES Once a Week!